FairWinds Antique Maps - Item # gg1280: La Giammaica. 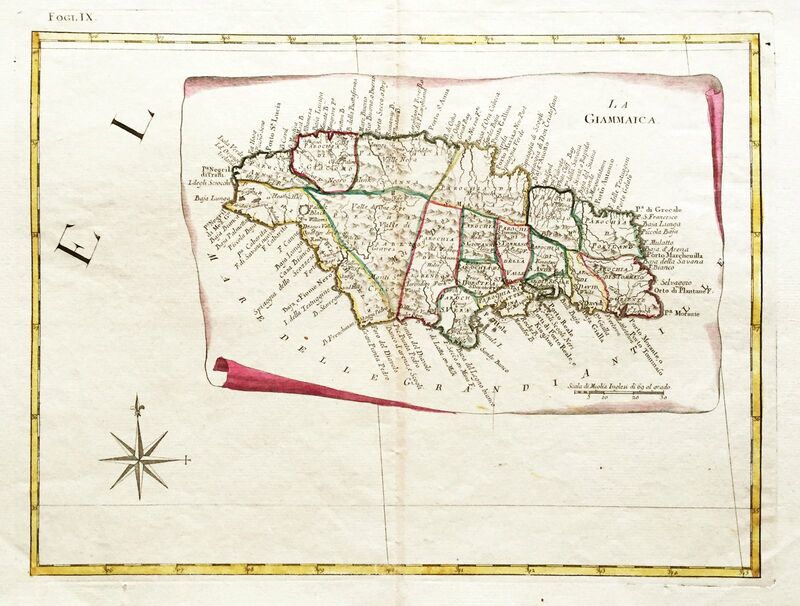 The splendid map of Jamaica on a scroll from Zatta's Atlante Novissimo. The island is divided into 18 parishes and all place names are in Italian. A large compass rose enhances the map's great decorative appeal. Size: 16 3/4" x 12 1/2"